After the birth of her daughter Emma, the usually resilient Majella finds herself feeling isolated and exhausted. Then, at her childhood home in Queens, Majella discovers the diary of her maternal ancestor Ginny—and is shocked to read a story of murder in her family history. With the famine upon her, Ginny Doyle fled from Ireland to America, but not all of her family made it. What happened during those harrowing years, and why does Ginny call herself a killer? Is Majella genetically fated to be a bad mother, despite the fierce tenderness she feels for her baby? Determined to uncover the truth of her heritage and her own identity, Majella sets out to explore Ginny’s past—and discovers surprising truths about her family and ultimately, herself. I was absolutely enthralled by The Crooked Branch. At first I was not too into the idea of the book because I am not a huge fan of historical fiction and since part of it is set in Ireland during the potato famine, I had my doubts as to whether it would appeal to me or not. 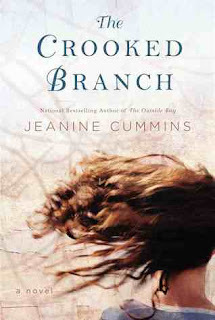 But The Crooked Branch is exactly the type of book I love to read with great characters and a fantastic, well paced story that didn't lose any momentum despite alternating between characters and time periods. Cummins definitely has a real strength in bringing characters to life and making you care about them intensely. I think that I identified with this book in big ways because it is largely about a mother's relationship with her child and since I am a new mother, I found a lot of what was described, even the difficult things, to be very true. I imagine that even if you weren't a mother that this author's way of telling the tale and feelings of the characters would help you to feel what they were. The foreshadowing is subtle yet effective. I wasn't able to guess what was being alluded to which unfortunately is often the case and the story tied together in unexpected but logical ways. The story developed very naturally, without any lags or lapses and I did not and mostly did not put it down - which as a new mom was challenging. But the story is just that good.